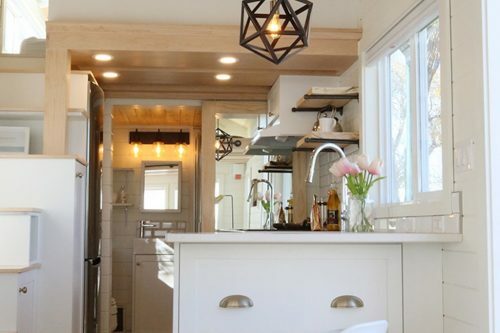 Lulu’s Container house in Sonoma County, California built for $4,000. Photos by Nicolas Boullosa. Video tour here. I have really enjoyed reading about you and your family in your beautiful home!! I am in the process of simplifying my life and have drawn great inspiration from you. I come from a family of “collectors”, glassware, antiques, as well as a myriad of junk!! Through having to assist my family with clearing out relative’s dwellings, and recently loosing my significant other to addiction and suicide, I have decided to make some life changes. I am systematically selling, donating, or discarding anything that is not necessary in my day to day life. 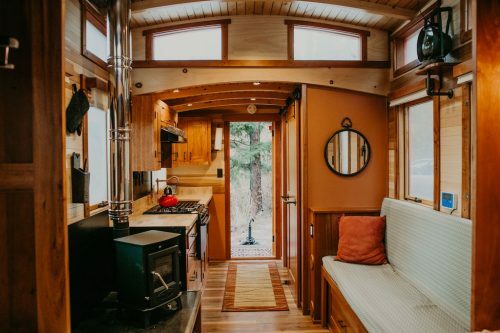 I purchased a 21′ vintage camper for $1500 and am refurbishing and decorating it to my liking and found a space to park it next to a creek. I will have electricity and water but I hope to go solar when I can afford it. My philosophy is …….. if it doesn’t fit in the camper, it’s gone:) Thank you for sharing your story! I too am trying to simplify my life. I am in the process of selling my home and moving somewhere that is smaller as I have a back problem and can no longer take care of what I have. I have also lost my ability to work and am now on disability which means that my income is about 1/4 what it was before. Needless to say I can no longer afford any house payments. I am in need of advise if you have any. Please feel free to share. Oh Lulu, what a lovely place and house! 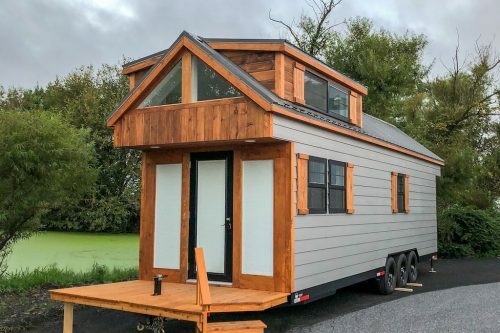 I envy how you enjoy in your tiny house!! I like every much a small house like yours, in a lonely place. I am a senior and like to retire in a residence like that. My name is Carmen Pla. I getting ready to start building my own home, for reasons very similar to your own. 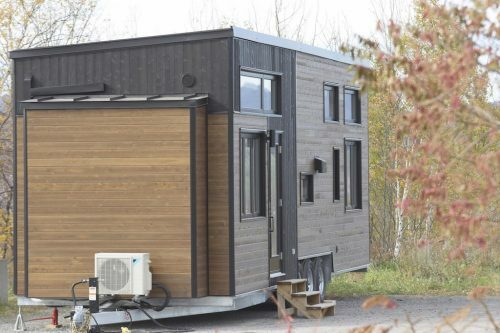 Through my research I have found that a container home would be the best (affordable) option. Your video was great but I would like to ask you a few more details. Please feel free to email me when you can. Thank you! Loved what you did with the house. So what are your plans for it? I am working on my own thoughts and plans for my home. One of my plans was separate buildings like that. It looks to be a great plan and lots of fun. I look forward to hear what you have going on with it all.